With the 25th pick overall, the Carolina Panthers pickup 6’1 228lb Shaq Thomspon. Shaq played a multitude of positions for the University of Washington Huskies as a strong saftey, linebacker, and running back. In 2015, Shaq had 81 tackles and 6 touchdowns in a combo Linebacker / Running back role. He won the Paul Horning prize, awarded to the nation’s most versatile player in college. Carolina head coach Ron Rivera stated that Thomspon’s versatility will add to the depth on his team. Becuase Shaq can play at Safety, he may not need to be removed from the field during nickel situations. Rivera said Thompson, who ran the 40 in 4.64 seconds at the combine, looks comfortable in coverage and against the run. 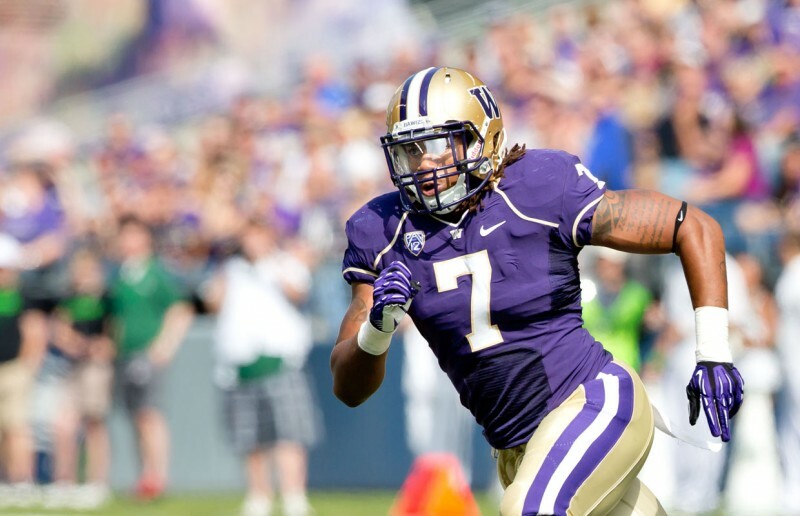 Shaq Thompson was a minor league prospect for the Boston Red Sox, playing for their minor league affiliate in the Gulf Coast league. Thompson went 0-39 with 37 strikeouts. Well, now Shaq joins that rare club of people who have been drafted in two sports–that is still pretty special. This was an interesting pick, in that conventional wisdom is that Carolina needs help on the offensive side of the ball with recievers and offensive line. However, it is possible that Carolina found a talent too interesting to pass on; I agree with Ron Rivera’s decision. Shaq will be forced to compete to get a starting role, as Carolina is already stacked at the linebacker posistion. I suspect they will use him as more of a strong saftey who plays in the box on nickel downs. If injuries occur, Shaq will step into the linebacker or saftey role as needed.